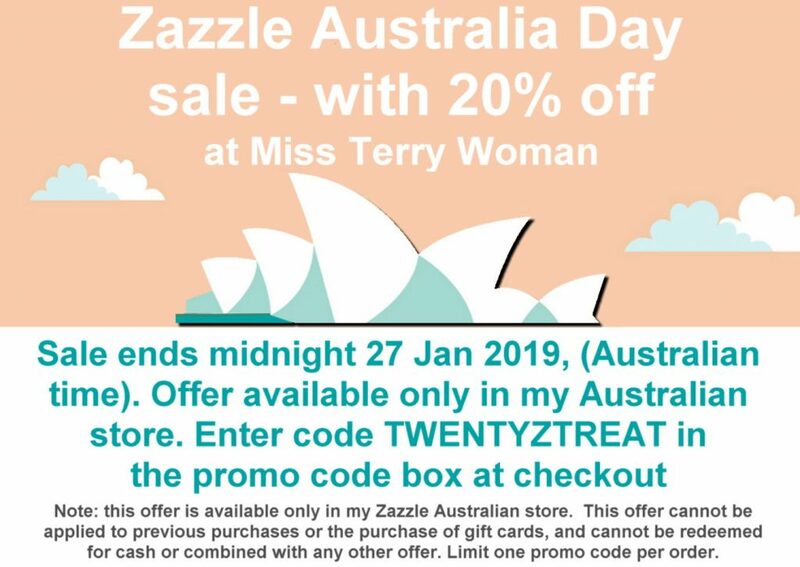 For the Australia Day weekend, there’s 20% off in my Zazzle Australian store. Sale ends midnight 27 January 2019. At checkout, use the code TWENTYZTREAT. Note this offer cannot be combined with any other offers or for the purchase of gift cards, nor applied to previous orders. Limit of one promo offer per order.